You can find Caroline here and here on Ravelry. I was going to say "everywhere," but that's not really helpful, is it? Usually, I'll ask myself what's missing from my own wardrobe at the moment, and then I'll design it. For instance, when all my hand-knitted socks start getting holes in them, it's time to design some new ones. When it gets cold out, that means it's hat time. I figure if I need it, others might, too. As for specific designs, the inspiration comes from many places. Classic movies: "Peter Lorre, the Mysterious" and the "Darrieux Capelet" were fashioned after costume silhouettes, while "Delysia Double-Knit Scarf" and "Miss Pettigrew" were inspired by a pair of earrings and some wrought iron seen in a film. My first design, "Fairly Kate", was based on a hat I saw on TV and liked. Music: I've done a few with lace or colorwork harps, and other designs have music-related names. Stitch patterns: Less often, a stitch pattern will catch my eye and I'll design a piece around it. Japanese stitch patterns especially can cause me to get obsessive, as this past winter when variations of one pattern found its way into two shawls, two cowls, a scarf, and a collar. Every now and then, I'll even find inspiration in my own designs. While working on one design, I'll start wondering how I can tweak it, and one design snowballs into a whole group. Usually, the knitter will know what inspired a design, because it will be reflected either in the name or in the introductory text accompanying the pattern. I like working with lightweight yarns because (A) they're flattering on the body and (B) you get more yardage to the skein. Beyond that, I like to be challenged. I like lace, cables, twisted stitches, and stranded colorwork. Beading is fun, too, but I prefer adding them with a crochet hook while work is in progress. That way I don't risk making a counting error during pre-stringing. Math is not my favorite thing. Probably my least favorite technique is intarsia, and I've never tried steeking. Even with the detail work, I still try to make my patterns as user-friendly as possible. Even the complicated ones usually aren't as hard as they may look. I usually try to make adult garments for XS-5XL (30"- 62" / 76-157 cm). 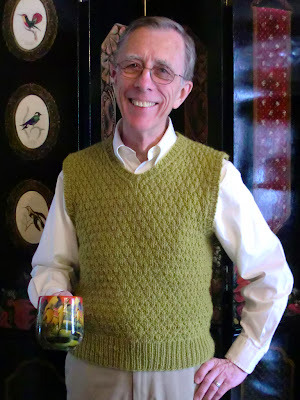 One of my earlier sweater patterns went up to 2X, and I had knitters say they wished it came in larger sizes. Since I self-publish, I thought, why not? Everyone deserves to have hand knits they can feel great in. That said, I usually design around my shape. I'm short, curvy, and three-dimensional. It's discouraging to me when a design doesn't take that into account. If a garment looks great on a hanger but not on a human body, what's the point in making it? So I almost always include waist shaping with a note that it can be omitted if desired. Absolutely I look at other designers' work! I love to see others' creativity and inspiration. I buy heaps of pattern books and magazines, too, and also the occasional individual pattern when it really impresses me. As a self-publishing knitter, it's not something I've ever had to deal with. I've never liked classifying as Easy / Intermediate / Advanced, either; what's easy for one may be advanced for another. 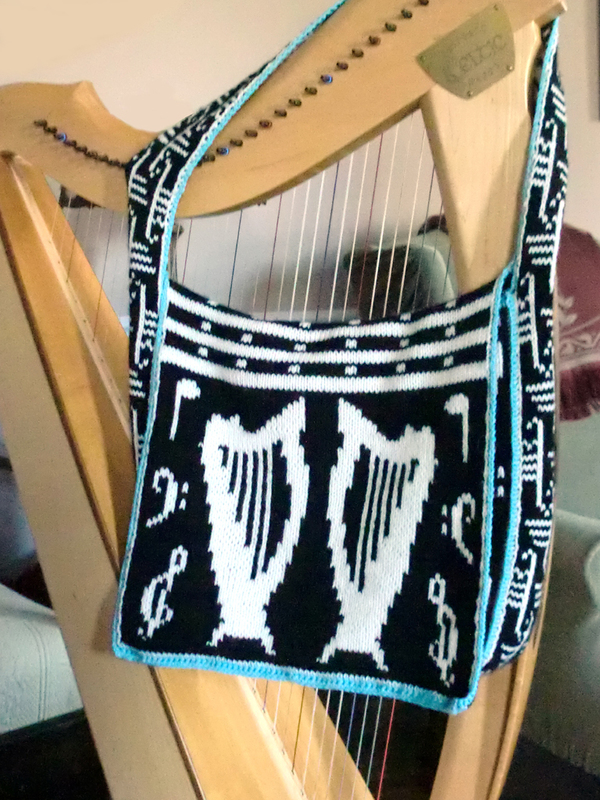 I try to include on a pattern what skills are required to knit it. There are excellent tutorials and videos available online for most skills. I have at times included tutorials in a pattern for techniques like applied I-cord, adding beads, or working directly from silk hankies. 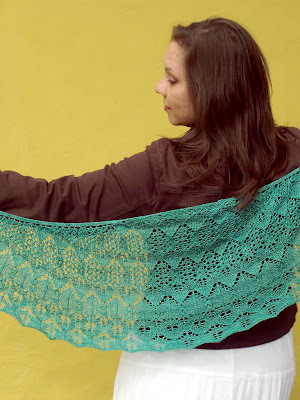 I do try to include both charted and written directions for lace, since there's no one correct way, and most knitters have a strong preference for one or the other. In my own work, I almost always work from charts, while my mom (who taught me to knit) only likes written instructions. Being an indie publisher means I have the flexibility to include both. Speed-knitting is my superpower. I do it all myself - writing, testing, editing, diagrams, formatting. Before I began officially designing, I worked in technical publishing, and that has carried over into my patterns. Apparently, I'm a control freak like that. :) The one exception so far has been for an upcoming yarn-company design. While I made the prototype, they provided a sample knitter to make the official piece. Since it was a complex pattern with lots of twisted stitches, I really appreciated that I didn't have to knit a second one. No. I do treat designing as a business rather than a hobby, and I keep good business records. Other than that, I work on a pattern, and when it's done, the next one begins. Not a formal one. 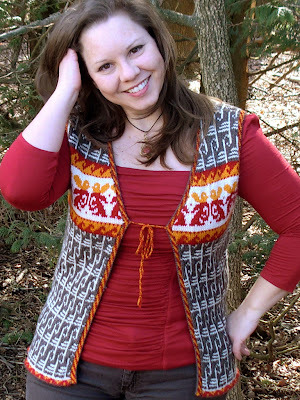 The Designers' Forum on Ravelry has always been very helpful. It's nice to have virtual co-workers to bounce ideas and questions off of, and everyone is very generous with sharing their knowledge. My design business wouldn't exist without the Internet. To date, I haven't done hard-copy publishing at all. Sites like Ravelry, Patternfish, and Kollabora make it easy for knitters and crocheters to find exactly what they're looking for. For keeping in touch with customers, I like Twitter and Pinterest. 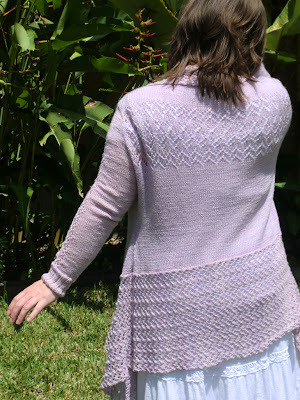 I do have a blog which has ended up being mainly a place to have a central pattern list and information, as well as the occasional post about knitting, books, or baking. Designs that have been published through yarn companies have been tech edited through those companies. I edit self-published designs myself. Life first, knitting afterwards. One nice thing about having designing as a secondary business is that when things come up, new designs can be put on hold for awhile, while previous designs remain available. Alternately, knitting is portable - if I'm traveling and can take a computer and yarn, I can still continue to design. I've been fortunate so far that most comments have been good. Criticism is never pleasant, but I try to learn from it and move on. I don't, yet. I've only been designing officially for a little over 2 years, and it's still a supplementary income stream. But it does pay for the yarn and knitting books, which I'd be buying anyway. That's a definite plus. Like anything else, you want to count the cost and think it through before jumping in. 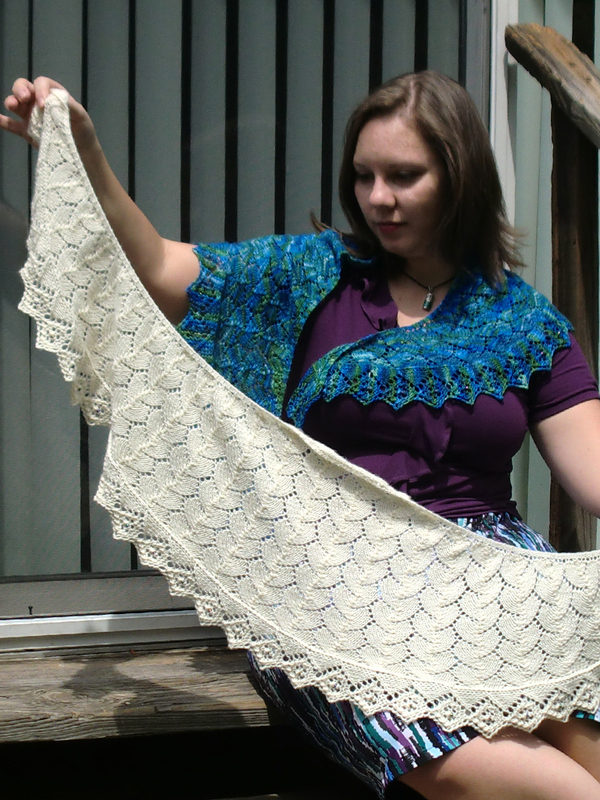 But yarn-based work can be done on a large or small scale, so you can always start small and build from there.